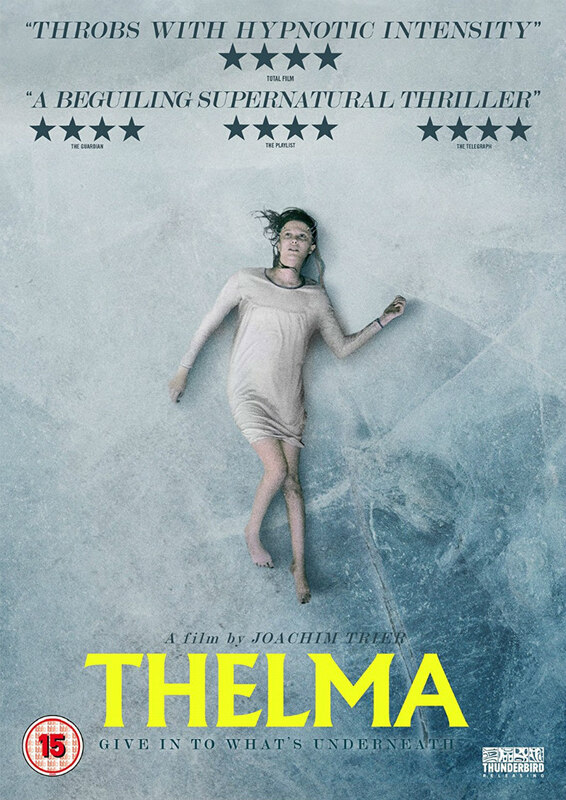 Did You Win Joachim Trier's THELMA On DVD? We've got two copies of Joachim Trier's sci-fi coming of age tale to give away. Having garnered a reputation as a master of small scale character dramas, Norway's Joachim Trier moved into the realm of sci-fi with last year's Thelma, the story of a teenage girl who discovers she possesses telekinetic powers. Thelma comes to UK DVD/blu-ray February 26th from Thunderbird Releasing, and we've got two DVDs to giveaway to UK readers. When Thelma (EILI HARBOE), a shy young university student, experiences a violent,unexpected seizure at the library one day, she quickly learns that the seizures aresymptoms of mysterious supernatural abilities. She is soon confronted with tragicsecrets of her past, and the terrifying implications of her powers.